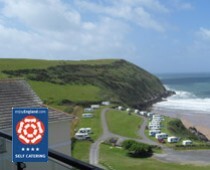 “Docton Mill Wild Flower Gardens are situated in North Devon (UK) in a stunning valley, 1000m from the coast. The Garden started in the 1930’s but fell into disrepair in the 1970’s. 1980 saw the Mill renovated and Garden cleared with extensive planting and the creation of a new Bog Garden and borders, vast numbers of trees were planted. The start of the new Millennium saw developments including a new Magnolia Garden with large Herbaceous borders, Woodland Garden and Greenhouse area enabling more extensive plant propagation. The Wild Flower Gardens theme is to make everything as natural as possible. In spring there are displays of narcissi, primulas, camellias, rhododendrons, azaleas with bluebells covering the woods. In summer the garden abounds with roses, there is a rosebank of Felicia and Pax and adjacent to this is the Herbaceous border. In this field there are 25 varieties of magnolia – truly a garden to give variety throughout the seasons.” (From the website).